Latest report published by Orbis Research on global cosmetics products industry provides comprehensive overview of market statistics during 2019-2023 and revenue generation by future prospects. This report on global cosmetics products market very well covers the current market trends, sales, socio-economical and other factors affecting and a detailed segmentation of the market. Baby boomers are the biggest consumers of cosmetics due to the introduction of anti-aging technology in the cosmetics industry. Another analysis says that the age and generation gap between the young consumers and their parents is making the young population incline more towards organic and natural cosmetics and boycott the brands used by their parents. Top brands from the cosmetics industry are investing in research and development activities to find new ingredients and amalgamate latest technologies in their production processes. Changing environmental conditions are also responsible for increased awareness on skin and hair care and the maintenance that comes along with this. 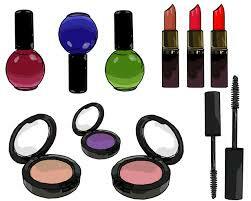 The global cosmetics products market is segmented based on product type, consumer age, distribution channel and regions. As per the product type, skincare products dominate the market followed by haircare products. Digital distribution channels dominate the distribution segment of this market. Increasing number of ecommerce websites, startups and digitalization amongst brands is adding to this growth. Region wise, North America is the most dominant region so far but regions like Asia, especially China and India see a potential growth in the coming years.